I had no idea how much was involved in the preparation of beer for a festival, so I have been given a master class from our Food & Beverage Manager Eddie in the run-up to The Holbrook Clubs 1st Annual Beer Festival. 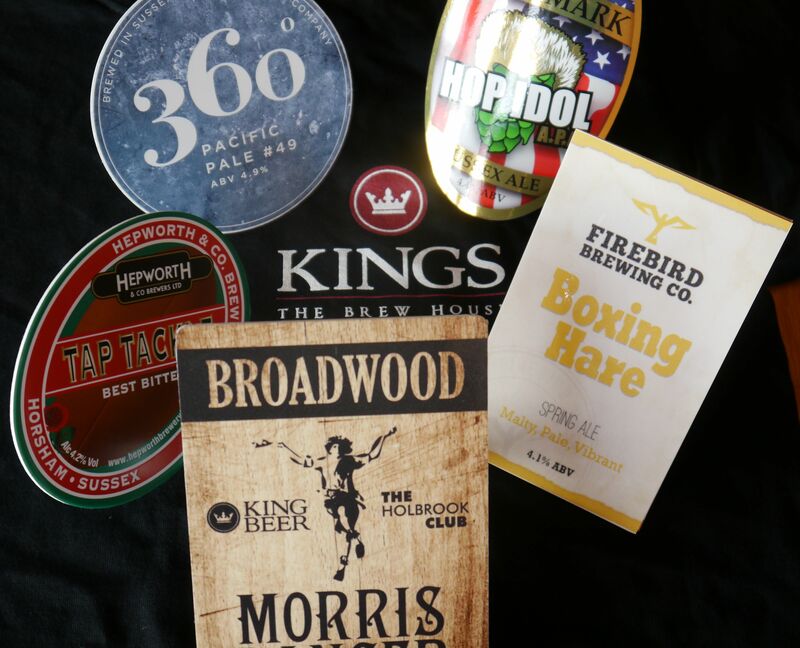 Firstly, there is a whole new vocabulary to learn before you can get started – Firkins, settling, venting, tapping, to name just a few of the processes involved in ensuring a perfect pint will be poured in 3 days time. Once the beer has settled in its rack, it is time to vent the firkins (a.k.a. 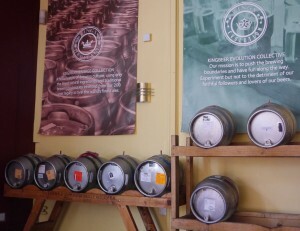 barrels!) as Eddie demonstrates below with a mallet (a good time to step back a bit)! 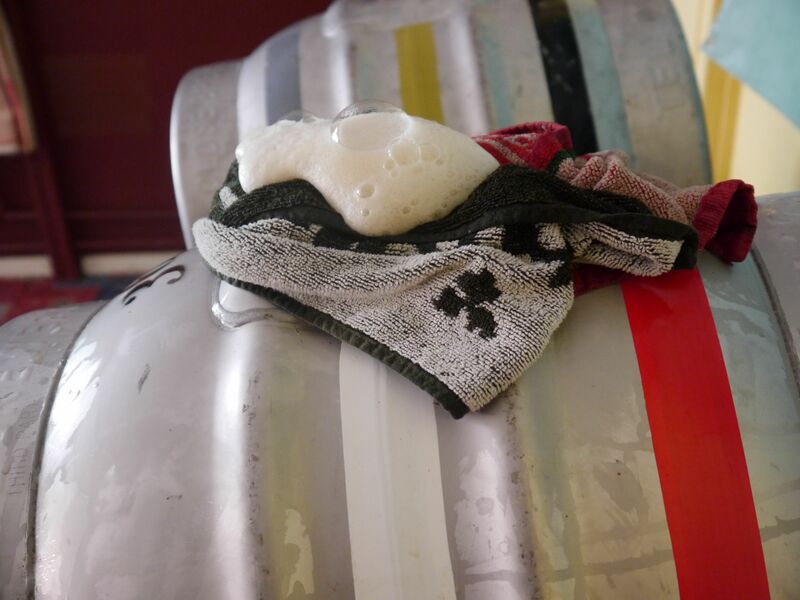 Some firkins are a bit livelier than others, producing quite a bit of air and bubbling. 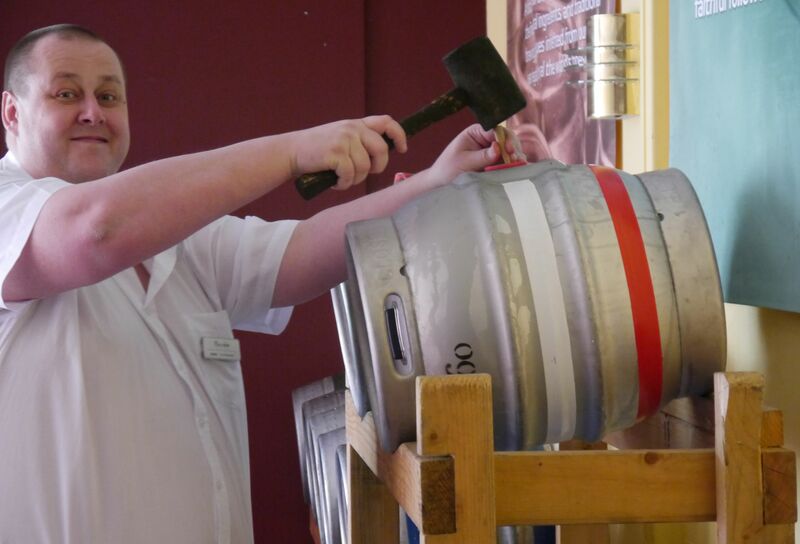 The firkins will continue to vent overnight, and then it will be time to tap them which will enable the pints to be poured. 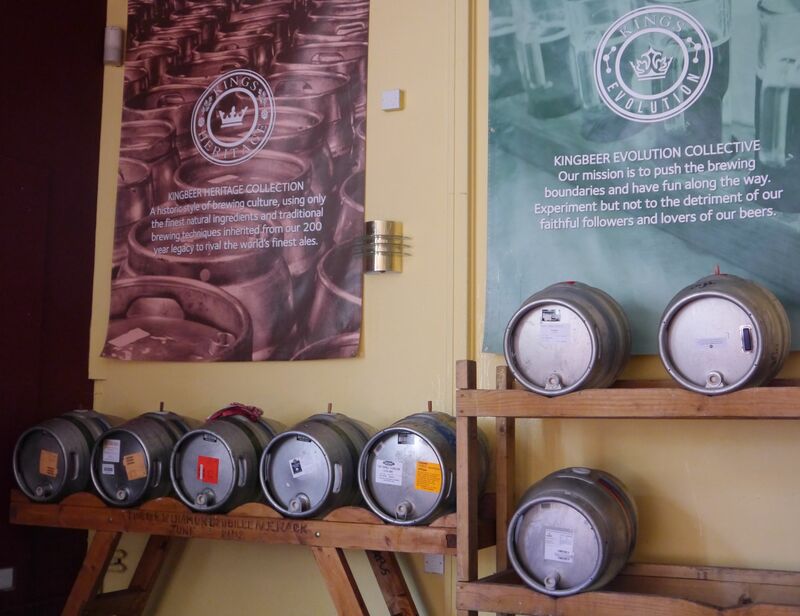 We really hope you will join us all at the Club on Saturday 15th March for our First Annual Beer Festival – may it be the first of many more to come. 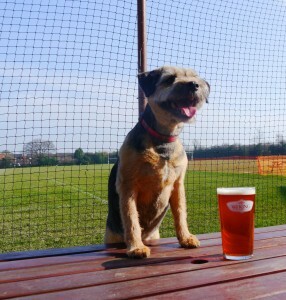 Even Jack, The Holbrook Hound, is working up a thirst!